In the Land of Love in Paris, France, Henri Désiré Landru, the real-life Bluebeard was born on April 12, 1869 to a modest family. From Charles Perrault’s The Tales of Mother Goose, Bluebeard was a mean old character. Although he was very rich, and was a fine man suitable for any woman, he scared them away with his blue beard. According to the story, Bluebeard nearly killed his wife, Anne by slitting her throat because she disobeyed his command, and found out about the secret cabinet where the dead bodies of his past seven wives were. He had killed them all before they got married. She was a 39-year old widow who had lived with André, her 16-year old son. She met Henri Landru at a time when it was difficulty to make ends meet because she kept a small-time job at a lingerie shop. As any romantic relation, their romance had challenging times, but they managed to make their relationship last. Before they were even married, during one of their fights Chuchet asked her brother-in-law to go to Landru’s villa with her so that they could make amends. Her brother-in-law found a chest with love letters to and from many other women. 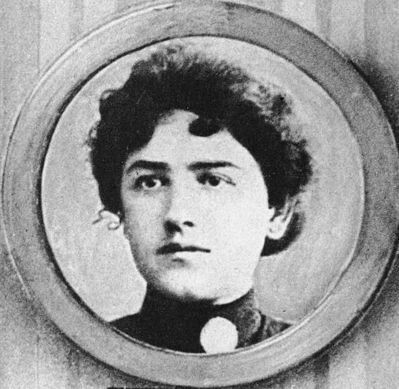 Instead of heeding her family’s advice to leave Landru, Cuchet moved to a villa in Vernouillet with her son. Landru also moved in with them, and the last time they were seen alive was in January 1915. She was next. She was married to a hotel owner before she was widowed. 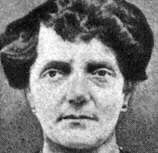 July of 1915, when she moved in to Landru’s villa with two dogs was the last time she was seen alive. Her friends remember her telling them about marrying an irresistible engineer from Brazil. Her neighbors later reported that it was Henri Landru who took her furniture from her home, and moved them to his house. He also sent some of her furniture to a garage facility. She was one of his more senior victims. She was already 51 years of age. The widow was last seen just a month after Madame Laborde-Dine disappeared, also in Landru’s villa. She had an inheritance of 22,000 Francs: something that was very attractive to Landru. She also disappeared in the same year, just months later in December. 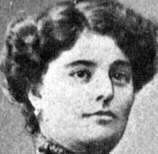 She was last seen in Madame Cuchet’s villa in Vernouillet, where Landru moved in before his first murder. 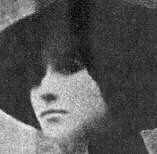 She was last seen alive on Christmas Day, the same year that Madame Héon disappeared. Her sister, Madame Pelat, was worried that did not receive any replies to the letters she sent Anne, so she contacted the Mayor of Gambais in France. She was only 19 years old. She was last seen in March of the following year. She was a mere servant girl who was of no use to Landru. Her murder still appears mysterious as she on her way to visit her mother when she met up with Landru, and disappeared. She was courted by Landru after two years of being preoccupied with his other businesses and fraudulent ways. 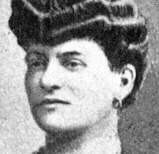 Like his other victims, Madame Buisson was a rich widow. After a year of courting her, Landru convinced her to move in with him alone. She sent her son to live with his aunt instead. 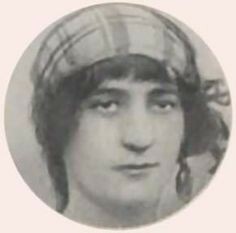 She was last seen alive in April of 1917. She was last seen alive in November of the same year. She mysteriously disappeared in Gambais. 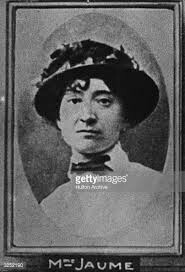 His villa in Gambais was searched by authorities after Madame Buisson’s sister, Mademoiselle Lacoste, searched for him. They only found the remains of two dogs in the villa. Later on, his neighbors reported unpleasant black smoke coming out of his chimney where he had a wrought iron stove installed. She was then 38, went missing in the earlier part of 1918. 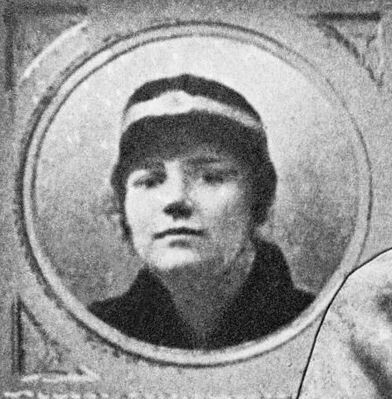 She was last seen alive almost a year later in January of 1919. She was known among French Army officers as an entertainer by the stage name “La Belle Mythese”. Landru visited her just wanting to buy her furniture. Eventually, their relationship developed into friendship. 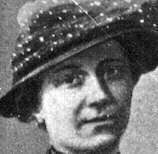 When she went with him to Gambais during the latter part of 1918, she had led herself to an untimely disappearance. 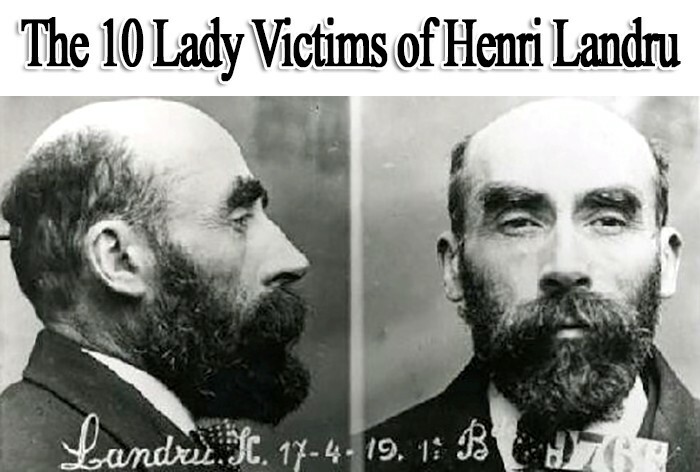 Through the investigation and trials, Henri Landru maintained that he was a gentleman. 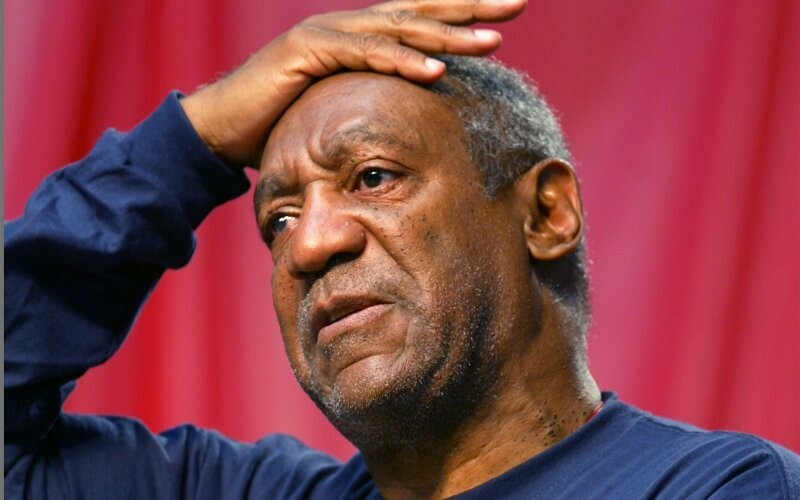 He never admitted to the murders, except for when finally, his stove was inspected, and they found bones and teeth of the ladies, as well as fasteners for women’s clothing. In April 1919, he was arrested by the police. He was in the company of another lady, this time, Fernande Segret, who was only 27 years old. When authorities figured that he burned the remains of his victims, he was sentenced to death by guillotine. He was executed just months after he got convicted in 1922. His severed head is still on display at the Museum of Death in Hollywood, California.